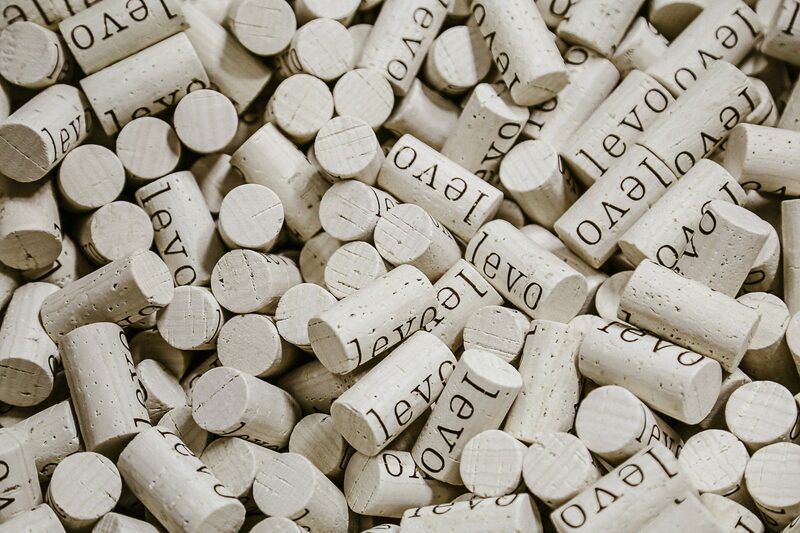 Levo Wine – E99 No. 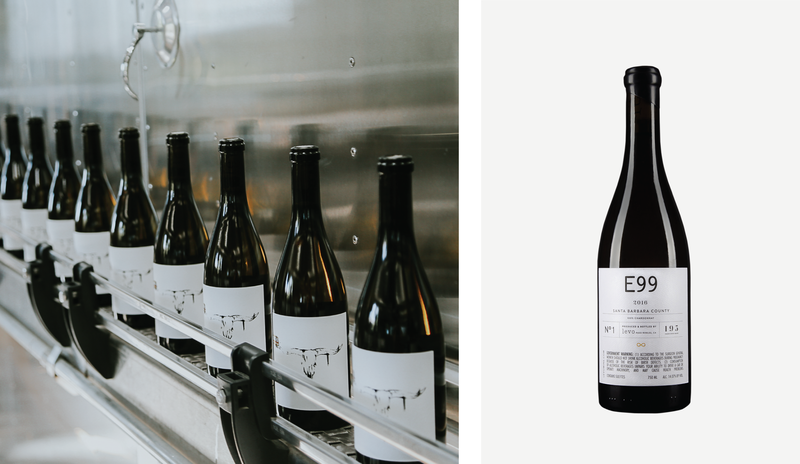 1 - Amarie Design Co.
Bret Urness began Levo Wine in 2011.
and references the idea of flight or “to rise” to honor his father’s love of flying airplanes. 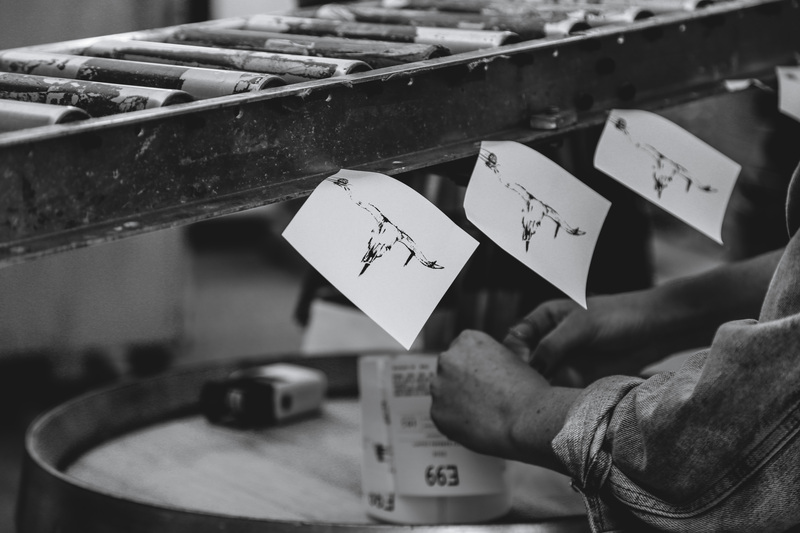 Levo is a Paso Robles based winery focused on crafting soulful wines in Tin City. The E99 series represents contrast. In Bret’s words, “Black and white. Power and grace. Male and female…No matter what, both forms balance each other.” E99 is shorthand for infinity on a calculator. 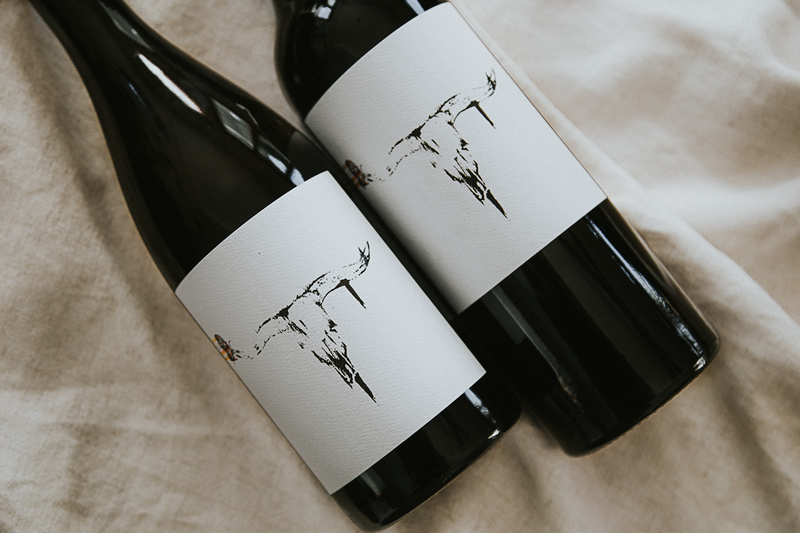 The E99 wine label design depicts a fluttering, vibrantly hued butterfly in motion who lands onto the bull’s skull and remains by his side. The back of the wine label design is a visual expression of their story brought to life through a shimmer of gold foil on an embossed infinity sign. 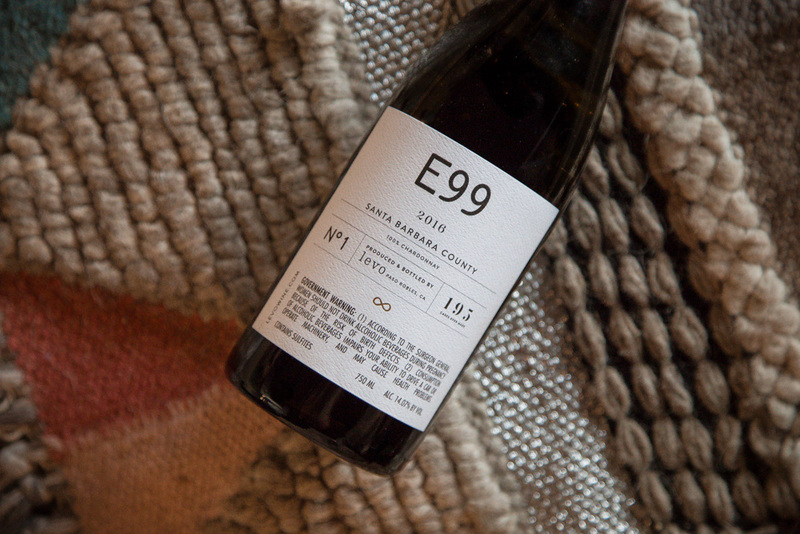 The E99 wine label tells the story of eternal love. 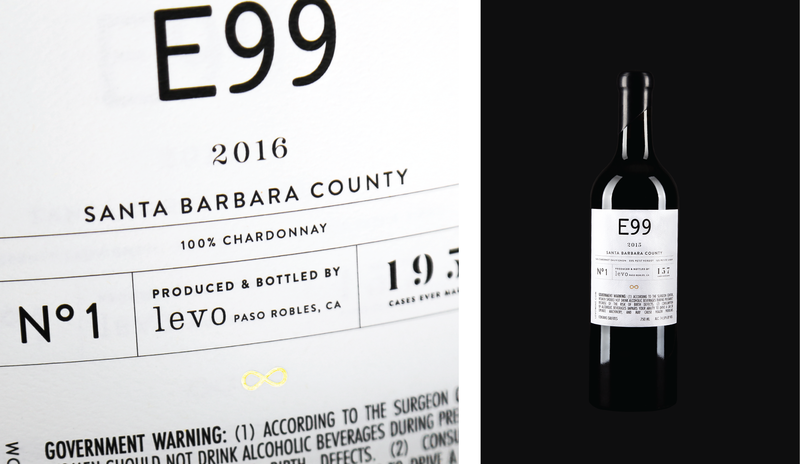 We also worked together to craft a collection of mini posters for the Levo wine club featuring the E99 No. 1 wine label design and all other Levo 2017 Fall release wine labels. 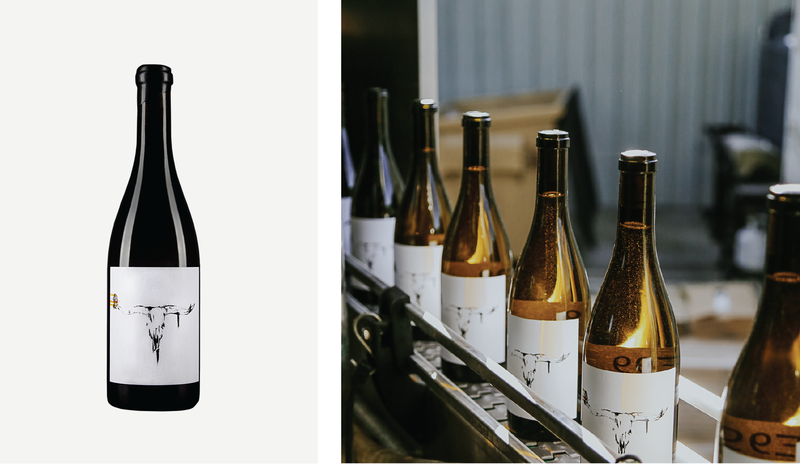 The other side displays a gold foil embossed logo and a handwritten letter from the winemaker. 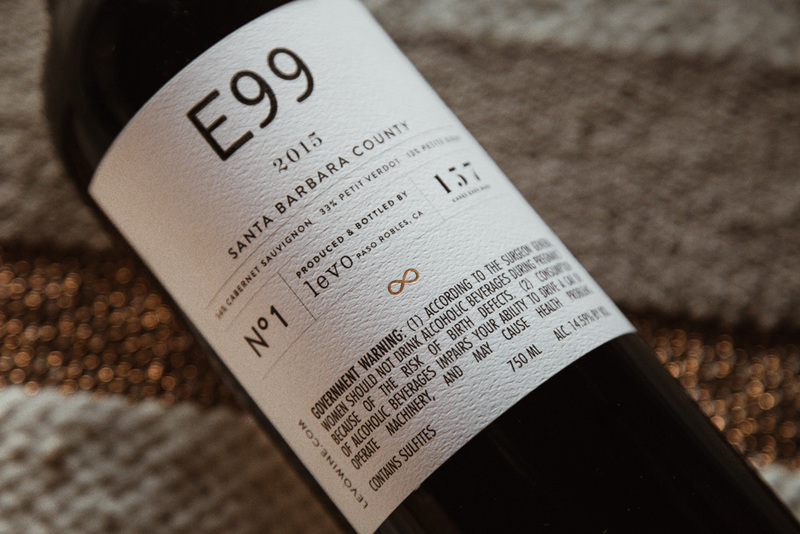 Levo currently has two bottles in the collection: E99 Red No. 1 and E99 White No. 1. The E99 Red No. 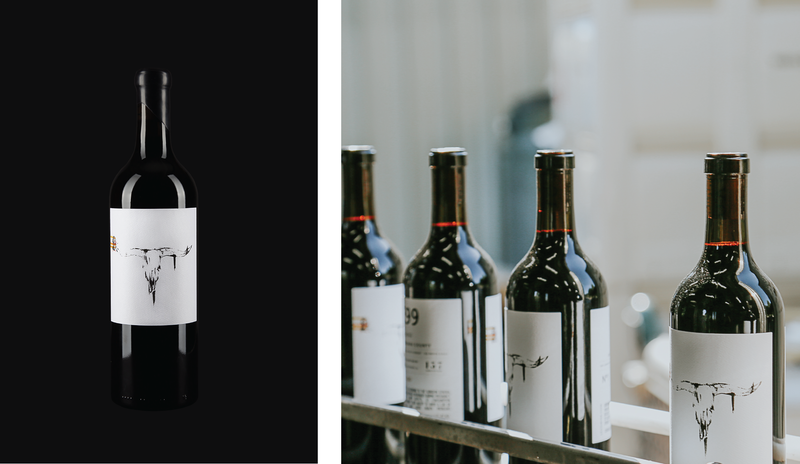 1 is dedicated to Cabernet Sauvignon, with portions of Petite Verdot and Petite Sirah making an appearance. The E99 White No. 1 is 100% Chardonnay.